“Witness Friendship” 2018 Summer Home and Abroad News Press Junior Journalist Delegation successfully completed interviewing 8 foreign embassies in China, including Belgium, Albania, Croatia, Algeria, Myanmar, Benin, Colombia and Armenia. On August 10th, the Colombian Ambassador to China, H.E. Mr. Oscar Rueda García, presented the “Outstanding Junior Journalist Certificates” to the delegation members. This year, the junior journalists were very fortunate to have exclusive interviews with the second and the third-place winners of the 2018 Russia World Cup: Croatia and Belgium. Up to now, Home and Abroad News Press junior journalists have visited 80 embassies in China, which is considered as a milestone achievement in our “News Diplomacy”. Home and Abroad News Press was established on February 28th, 2001 in Hong Kong. 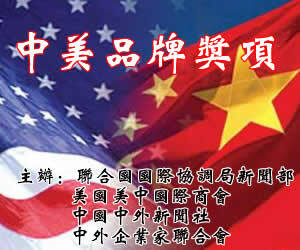 Home and Abroad News Press has been approved by Hong Kong and Macao Affairs Office of the State Council for 16 consecutive years to interview and participate the National Congresses (NPC and CPPCC), APEC Summit, Global Think Tank, Asia-Europe Meeting (ASEM) and other important global and regional events. On May 20th, 2010, Home and Abroad News Press received the official approval letter from Taiwan “Government Information Office” on opening an official local branch in Taiwan. On May 6th, 2011, Home and Abroad News Press received the official approval letter from Hong Kong and Macao Affairs Office of the State Council on opening the first Mainland China local branch in Beijing. On October 13th, 2012, Home and Abroad News Press and Communication University of China formed a strategic partnership and opened a liaison office in the Building #39 of Communication University of China. This office serves as the training base for university students and future media talents. Based on the unique positioning and value advantage of Home and Abroad News Press, the Junior Journalist Delegation has become a well-known international brand in the global community. “Home and Abroad News Press Junior Journalist Delegation” successfully participated in the 2010 Shanghai World Expo and the 26th World University Games in 2011. “Flying Dreams �C 2012-2017 Summer/Winter Home and Abroad News Press Junior Journalist Delegation” received high recognitions from the Assistant Secretary-General of United Nations, Dr. Awni Behnam, the Chief Representative of UNICEF China Office, Mrs. Gillian Mellsop, the Press Officer of the 26th World University Games British delegation, Mr. Scott Richards and many foreign ambassadors to China. They presented the “Outstanding Junior Journalist Certificates” to the Junior Journalist Delegation members each time. Between August 6th and 10th this year, jointly organized by Home and Abroad News Press and the United Nations Education Science Cultural Health Advancement Foundation, "Witnessing Friendship" 2018 Summer Home and Abroad News Press Junior Journalist Delegation visited eight foreign embassies in China. The junior journalists were excited and deeply touched by the close dialogues with the high officials and senior diplomats; therefore, they cherished this opportunity to learn fully about the culture and education of those countries. They also personally felt the wisdom, enthusiasm and friendly manners of the diplomats and their well-developed diplomatic temperaments while improving their English skills. During the five days of serial interviews, the junior journalists collected a large amount of materials from the interviews. Their quick thinking, mental qualities, self-confidence and serious study attitude left great impressions to the foreign ambassadors and embassy officers. On August 10th, the Colombian Ambassador to China, H.E. Mr. Oscar Rueda García, presented the “Outstanding Junior Journalist Certificates” to the delegation members. (Hong Kong) Home and Abroad News Press established its Mainland office in Beijing after receiving the official approval from the China's State Council - Hong Kong and Macao Office on May 6th, 2011. This strategic move further strengthens the media’s communication and connections with foreign embassies and organizations in China. President Wei Yan expressed that Home and Abroad News Press will not only promote itself as a regular media channel to all readers and general public, but also become a communication bridge between China and the whole world. The purpose of organizing the “Junior Journalists Delegation” is to offer an opportunity to Chinese students to understand more about other countries and cultures so that they will be better serve as a “diplomatic messenger” in the future. This is also a part of the unique positioning and competitive advantages that Home and Abroad News Press always pursues.